1. 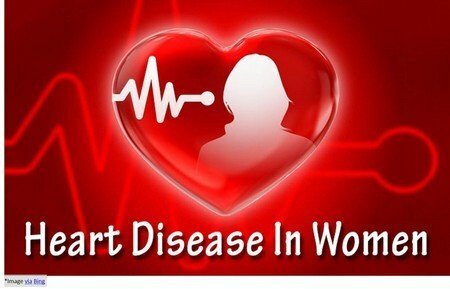 Myth- Fit and healthy women are not at risk of heart attack! Fact- You might be someone who is completely dedicated to the workouts, yoga, and other fitness dogmas, but that really does not rule out your chances of the heart problem. Along with your fitness regime, you also strictly have to be in line with your eating habits. You also need to keep a regular check on your cholesterol levels. 2. Myth- There are no symptoms of heart attack, so I am safe! Fact- You do not necessarily have to get a severe chest pain before a heart attack. There are other symptoms too that are not highlighted as much as chest pain. Also, the symptoms tend to vary between men and women. If any woman experiences shortness of breath, jaw and back pain, nausea and vomiting then, it is a warning bell for her. You should also not ignore signs like fainting or lightheadedness and dizziness. 3. Myth- Heart problem is for men and Cancer is for women! Fact- None of these diseases is distinguished according to the gender of a human being. A woman is as much at a risk as the man when it comes to the heart diseases or for that matter even cancer! 4. Myth- Heart problems are hereditary, there’s nothing much I can do about it! Fact- If you have a family history of heart attacks, you might be at a higher risk. But the belief that you cannot do anything about it is wrong. You can reduce the risk by following a strong plan of action which should include- controlling your cholesterol levels, getting active, managing blood pressure, eating right, maintaining a healthy weight, cutting down on the consumption of alcohol and completely banning smoking from your life. 5. Myth- There is no threat to my heart because I am on medication for my diabetes. Fact- Medications for diabetes may reduce the risk of heart problems, but it doesn’t eradicate the threat completely especially, if you smoke, or are suffering from obesity or have high blood pressure levels. Fact- Your lifestyle plays a major role when it comes to your health. This is not the era when you can rely on your age to define various health problems that you may or may not suffer. As far as the heart problem is concerned, you cannot really tell the exact time when the plaque starts accumulating in your arteries. The process can very well begin from your early childhood. So the fact is there is no defined age of when can you get a heart attack or a heart failure! Previous Previous post: Breakfast everyday keeps the doctor away!